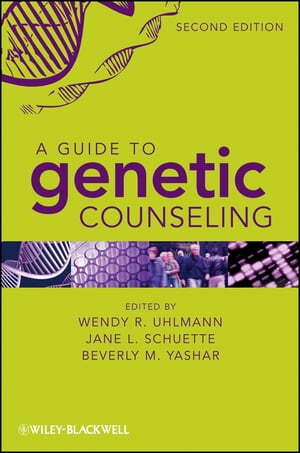 Collins Booksellers - A Guide to Genetic Counseling by Wendy R. Uhlmann, Jane L. Schuette & Beverly Yashar, 9781118210536. Buy this book online. First published in 1998, A Guide to Genetic Counseling quickly became a bestselling and widely recognized text, used nationally and internationally in genetic counseling training programs. Now in its eagerly anticipated Second Edition, it provides a thoroughly revised and comprehensive overview of genetic counseling, focusing on the components, theoretical framework, and unique approach to patient care that are the basis of this profession. The book defines the core competencies and covers the genetic counseling process from case initiation to completion—in addition to addressing global professional issues—with an emphasis on describing fundamental principles and practices. A Guide to Genetic Counseling, Second Edition belongs on the syllabi of all medical and human genetics and genetic counseling training programs.